Back when I was racing I was lucky enough to be helped out by a couple of great local Perth shops and groups. They helped me with gear, advice and good company. While I am not racing anymore, I think it is still worth acknowledging the support they gave me over the years. A big thanks to them all. By far my most important supporter is my coach Daryl Stanley. He has taught me all I know about training and racing. His knowledge runs deep and his patience is endless. The more I race and and train the more I come to realise just how very good a coach he is. Everything I have achieved in this sport comes down to him. I have been very fortunate to have Ridley Bikes Australasia let me be an ambassador for 2016/17 racing season and beyond. I will be racing on the beautiful Ridley Dean FAST which is a bike that lives up to its name. Ridley has demonstrated the quality of their bikes on countless international stages including Grand Tours, Olympics and Triathlon. They have shown they have the know how to make a bike that both looks great and goes quickly. Very quickly. Saying that I am super excited to be racing this bike is a mild understatement. For 2016 I have been fortunate enough to be selected as a Brand Ambassador for Mizuno Shoes. I have been running in Mizuno Shoes for a little while now, so needless to say I am already a big fan of them. To me they are a brand that demonstrates a good understanding of what runners need and want. Their wave plate design gives you the support you need where you need it. However, combined with their lightweight but durable uppers, you still get a light shoe. An impressive, best of both worlds, combination. 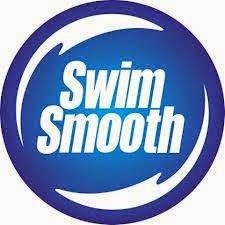 For 2016 I am fortunate enough to be getting supported by Swim Smooth. I train with Paul Newsome and the Swim Smooth squad here in Perth and it has been a revelation to my swimming. I swam when I was younger and spent the entire time being told to swim like somebody else in a style that I couldn't make work. Starting to swim with Paul was the first time I ever had somebody look at my swimming and say, 'this is why what you do is okay and here is how we make it better'. Quite simply Paul is the best swim coach I have ever had and the Swim Smooth system is big part of that. Can't make it to a Swim Smooth squad? No problems, now there is the Swim Smooth App. This thing would have to be about the best investment you could make in your swimming. With the App Swim Smooth have basically taken Paul's brain and digitised it. This thing contains a ridiculous amount of information. Training plans, sessions (100s of them), drills, faults finders, videos, it really is massive. If you know you want to improve, but don't know how and don't have somebody to show you then this App is about all you need. Even though I have access to the squad, I find the I use the App regularly when I just want to have a swim by myself, or when I have a particular issue I want to work on. But don't take my word for it, there is a 48 hour free trial period available, so you might as well check it out. I promise you that it is impressive. A link can be found in the menu on the left of the screen. I am very excited to say that for 2016 I will be racing in a Mako B-First wetsuit, as well and training with Mako bathers and goggles. The B-First is a great example of a well thought out wetsuit that is full of triathlon specific features. Flexible neoprene in all the right areas, targeted buoyancy, a reverse zip, cuffs that slip over your hands and feet easily, the list goes on. Clearly a suit designed by people who know what triathletes need. For that reason I can't wait to get racing in it. I have just started using a brand of wheel called Caden and there are a few very good reasons why I made the change. Firstly these wheels are designed in Australia. I say designed since the actual manufacture of the rims takes place in Taiwan. However, everything else, the design, the production of the molds, the building of the wheels happens in Australia. That local production was part of the reason I decided to ride these wheels. An Aussie company daring to try and crack it into the tough race wheel market is worth supporting. However, the other reason I chose these wheels is because they are awesome wheels. Well engineered wide profile rims (28mm wide rim with a 26mm brake track) with a good blunt nosed aerodynamic profile. Stiff and lighter than most competitors (lighter than Zipp), well made, the list goes on. And then the price, all this for around $1300 for a set (yes a set). I couldn't go past that. I have been racing on Hammer Nutrition products for a little while now and so for 2015 they have decided to help me out with some support. Why Hammer? Well because in my opinion they produce some of the best thought out nutrition products available, particularly for the world of endurance sports. Products like Perpeteum, HEED, Sustained Energy etc show a deep understanding of what athletes are doing and what they need/like. I had a number of bouts of gastrointestinal distress during races while I was figuring out how to fuel a race. A friend of mine finally put me on to Hammer products and I haven't looked back. 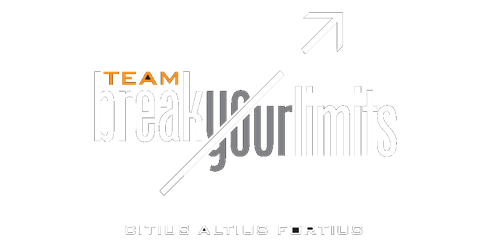 One of my biggest supporters is my Triathlon Club Break Your Limits. They are a great group of folk who provide a lot of advice and support during training and racing. There is nothing like being at a race and running past the Break Your Limits tent. Instant cheer squad. 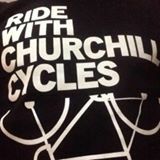 I am not sponsored by Churchill Cycles, but I am in there so often and they haven't yet asked me to stop annoying them yet so I thought they deserved acknowledgement on this page. They are always ready with gear, advice and a chat. In my opinion they are the best bike shop in Perth and are great supporters of the local triathlon scene. When I have a bike need, they are always my first port of call. Since I started going there I genuinely can't remember the last time I bought cycling gear online. Yes they are that good.